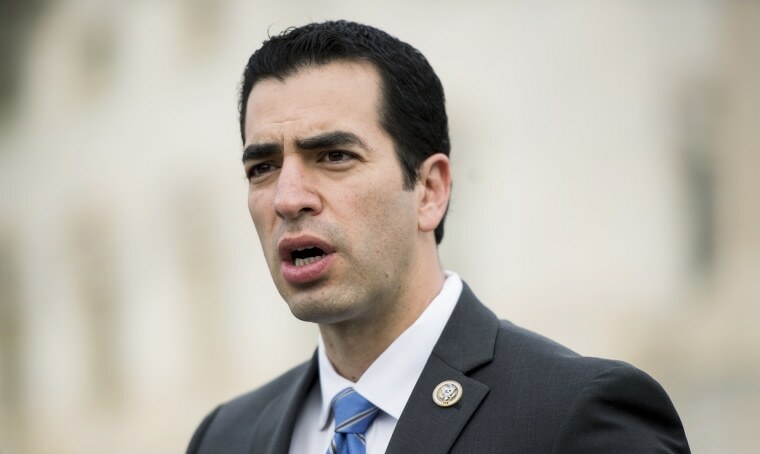 LAS VEGAS — First-term Democratic Congressman Ruben Kihuen of Nevada, who is at the center of sexual harassment allegations, announced Saturday he won't seek re-election. Kihuen's announcement came a day after the House Ethics Committee opened an investigation into whether Kihuen "may have engaged in sexual harassment" with a campaign aide and a lobbyist. "I want to state clearly again that I deny the allegations in question," Kihuen said. "I am committed to fully cooperating with the House Ethics Committee and I look forward to clearing my name." "Therefore, it is in the best interests of my family and my constituents to complete my term in Congress and not seek re-election," Kihuen said. The Ethics Committee in a statement Friday by the panel's Republican chairwoman and its ranking Democrat said the fact the committee was investigating the allegations does not indicate any violation has occurred and that the committee would make no further public statements pending completion of its initial review. Kihuen's decision may not be enough for some of his colleagues. The top House Democrat, Minority Leader Nancy Pelosi, has called on Kihuen to resign, a request that he has resisted. Kihuen also apologized after the first allegation was made public, but said he didn't remember the events the way the former campaign aide had described. A native of Mexico and the first Latino to represent Nevada in Congress, Kihuen represents the state's 4th Congressional District, which stretches north from the Las Vegas metro area into sparsely populated central Nevada. Rep. Trent Franks, R-Ariz., abruptly resigned last week over revelations that he'd asked two staff members to act as surrogates to have his child, offering one $5 million.